Gardner Commons is up and running! With that being said, the Union would like to share some of the resources for students available in the new building. 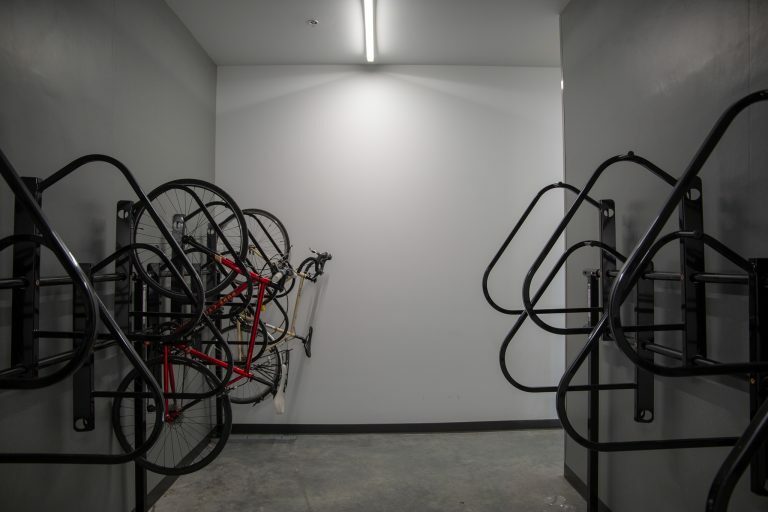 There is a bike storage room near the northwest entrance of the building that will be available by card-access to a group of individuals each semester. The storage room is comprised of racks for bike storage. 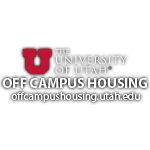 If you would like to be placed on the list to receive card access to this storage room, send an email to Patrick.whiting@union.utah.edu. 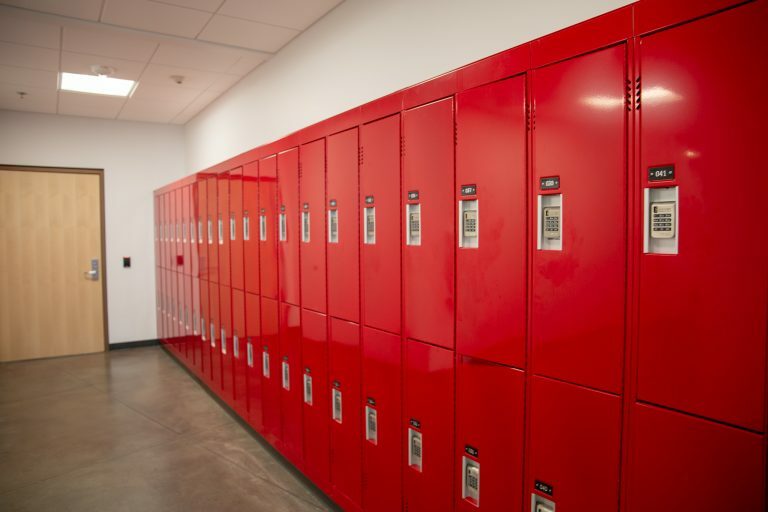 In the hallway north of Carolyn’s Kitchen (the food court in the building), there are many lockers available for day-use by anyone on campus. The lockers use a “Digilock” system enabling a user to create their own passcode. The lockers are free to use, but are cleaned out every night during closing of the building. They are great to store heavy books, laptops, etc. while one walks across campus for meetings or classes. Do you bike to campus? Does the summer heat make you sweat profusely? 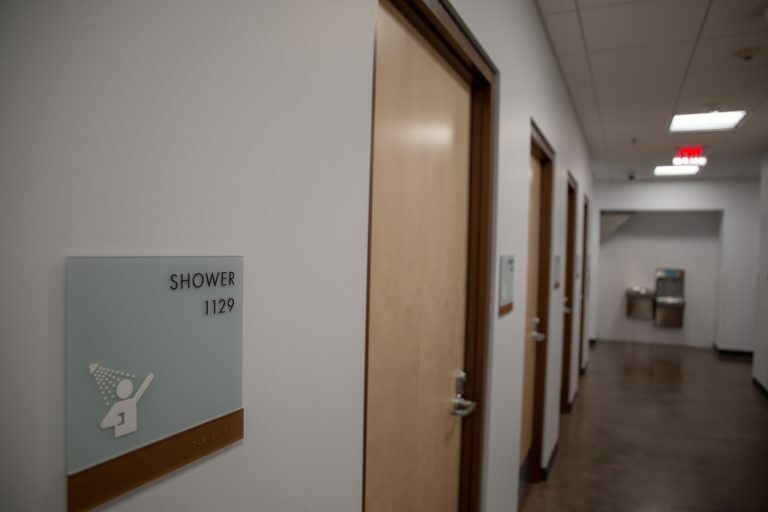 Feel free to take a refreshing shower on campus in the hallway north of Carolyn’s Kitchen. The showers are locked, so you will need to go to the second floor, on the south side of the building and ask for a key from our Information Desk. We ask that you do not spend longer than 30 minutes in the shower out of respect for the rest of the community. These rooms are free to use on a first-come, first-serve basis. 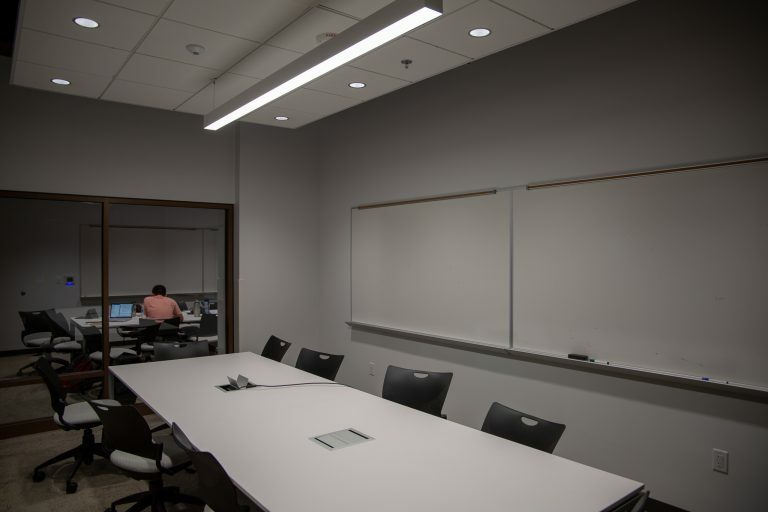 Each room has its own resources available such as large-screen TVs, or a set of computers. 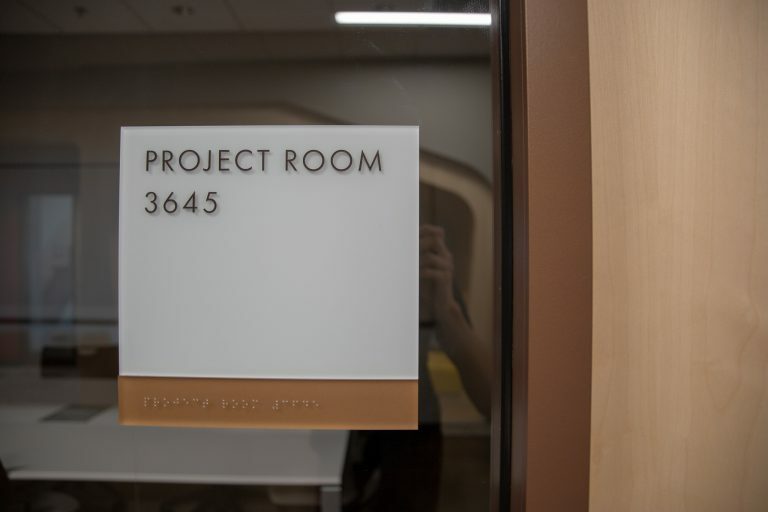 There are several available on each floor, look for the “Project Room” above the room number to be sure they are free to use without reservation. Formal reservations of these rooms may be made through campus scheduling. 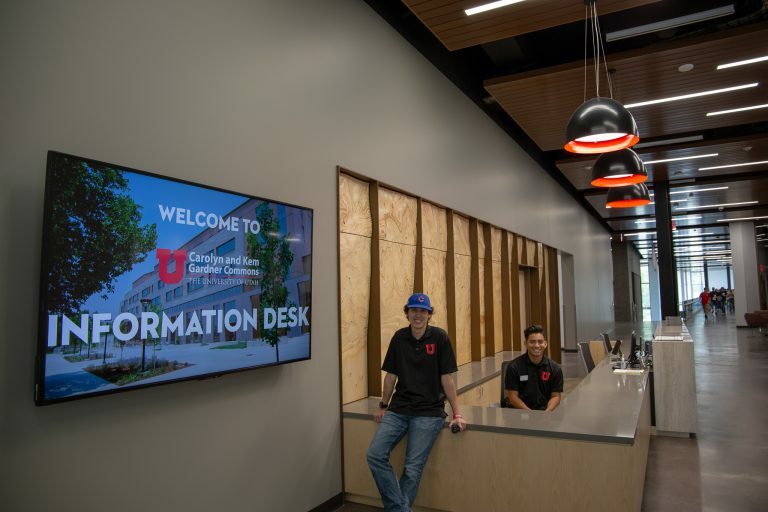 The Information Desk is staffed by Campus Information Specialists. They can answer any questions you might have about the resources highlighted in this article. 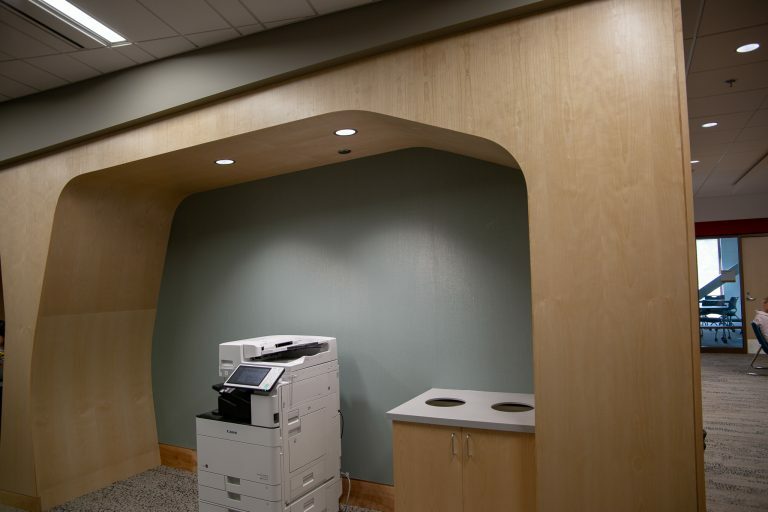 In addition, the Building Managers behind the Information Desk may help with any audio-visual technical issues in the building. Feel free to ask the Information Desk for help!